Reliable account management is important for sales and customer success teams. 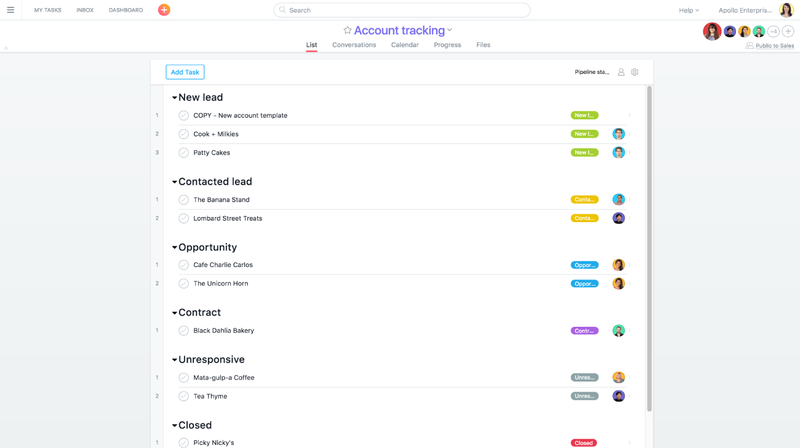 With Asana, you can easily track your prospects and customers, see their account status, and know who is responsible for each account. Create a new project. 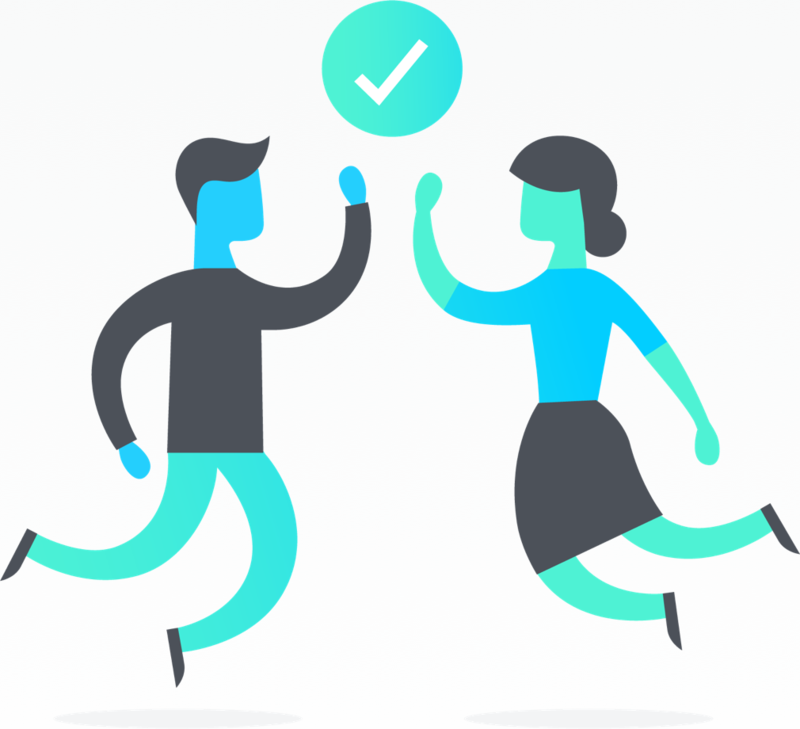 Name it, “Account tracking.” Add the project to your sales or customer success team. Create custom fields based on the pipeline or client stages. For sales this could be by funnel stage. For customer success, this could be by team size, or lifecycle stage. Create custom fields by clicking the blue Add Custom Fields link at the top of the project. Once you’ve created your custom fields, change the view to sort by custom field. Make sure to also add a field for unresponsive leads or closed accounts so you can still track them but know they’re inactive. Create a template task for teammates to duplicate and name it, “TEMPLATE, DUPLICATE ME - New account.” For every customer, create a task. You might not mark these tasks complete as the relationship continues. This is fine and not all tasks in Asana needs to get checked off right away. You can also create subtasks on the template task to track standard activities that you do for every account. Once the account has an owner, assign the task to that person so everybody knows who is responsible for the relationship. If the account owner changes, reassign it to the new owner. Use task descriptions, task comments, and attachments to add in notes and relevant files about the account throughout its lifecycle. Anyone can know the account status and read more information. Once created, save your project as a template by clicking the project header dropdown and selecting Save as a Template. To easily duplicate the template for each new account, just go to create a new project, and access it in the Templates tab. 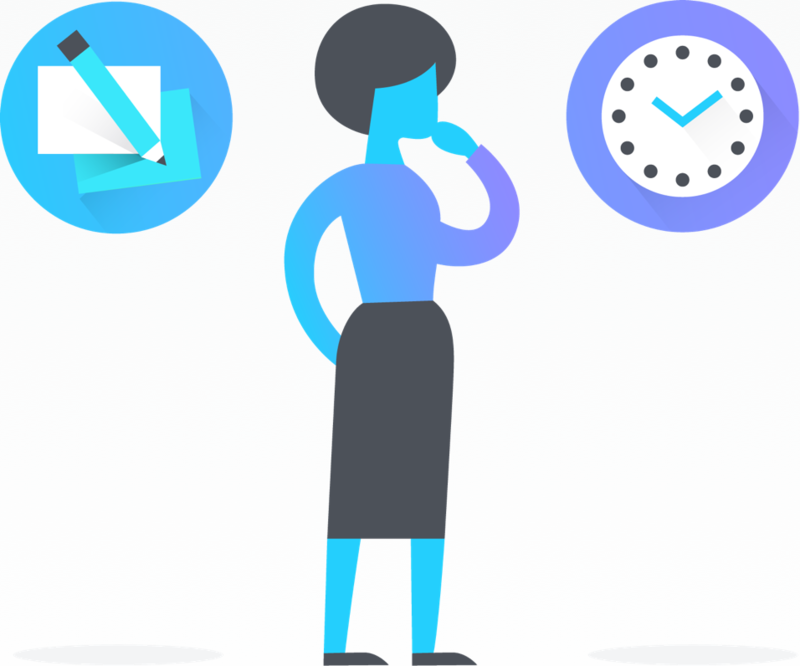 Running the most efficient account tracking project requires the power of Asana Premium. Get started for free with a Premium trial. Use one of our Salesforce partner integrations to sync data and processes between Asana and Salesforce to accelerate the sales lifecycle. 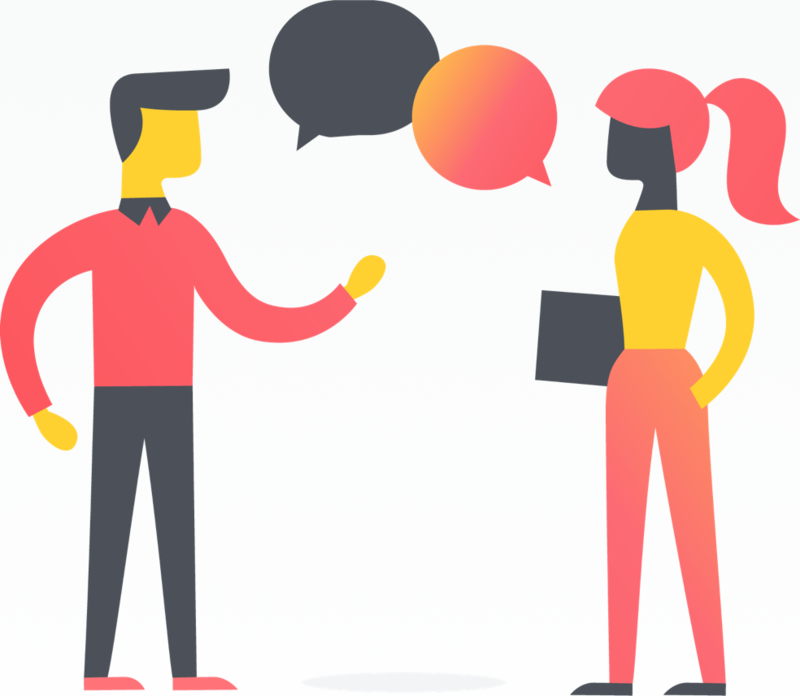 Sales and non-sales teams will be able to have a single source of truth and work in the tool that goes with their workflow. Asana Enterprise members can make use of our advanced Salesforce integration. You can customize your view in a project to sort your account tracking tasks. For example, you might want to sort them alphabetically, by assignee, by custom field, or by complete/incomplete tasks. That way you can quickly see the accounts by name, owner, if it is an open or closed deal, etc. If you need to customize the way you see accounts, use Advanced Search. For example, set the search criteria to see deals won by a specific sales member, upgrade opportunities created this quarter, accounts owned by one team member, by custom field, and more. You can save your reports to your sidebarsidebar Use the sidebar to navigate to the dashboard, starred items, projects, and teams. The sidebar can be collapsed. Read more to access them anytime. 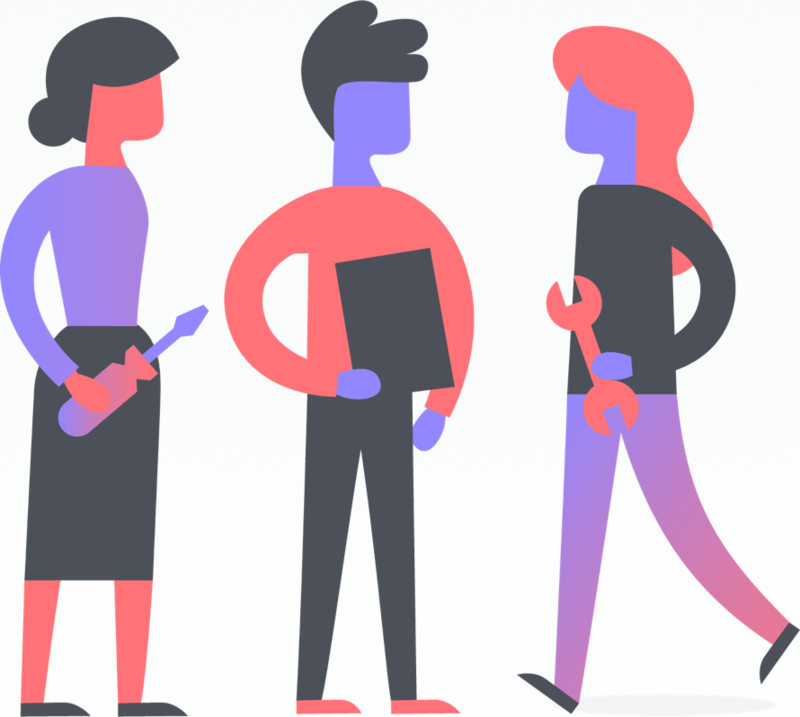 Get lead information into Asana by creating a Wufoo or Google Form for prospects or customers to fill out. Once submitted, the information from each field in the webform will map to an Asana task automatically so you have the information you need. You can even set fields in the webform to correspond to custom fields in Asana. If you use email to talk to your customers, you can make conversations actionable by creating follow-up tasks with our Gmail and Outlook email integrations right from your email inbox. 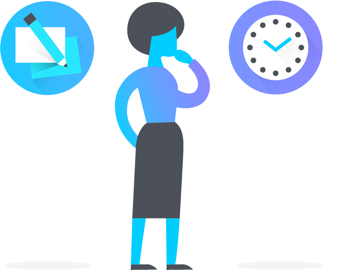 You can also forward important correspondence into Asana to keep it all in a project instead of trying to manage it all from your email inbox. 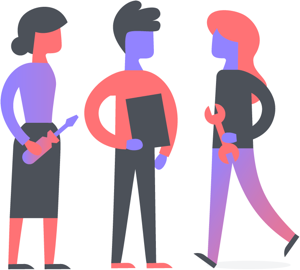 That way, it’s easier to find and reference with other work you track in Asana. If you want to remember to follow up on an email, head to that task, click the task actions button at the top of the right pane and select Create Follow-up Task. 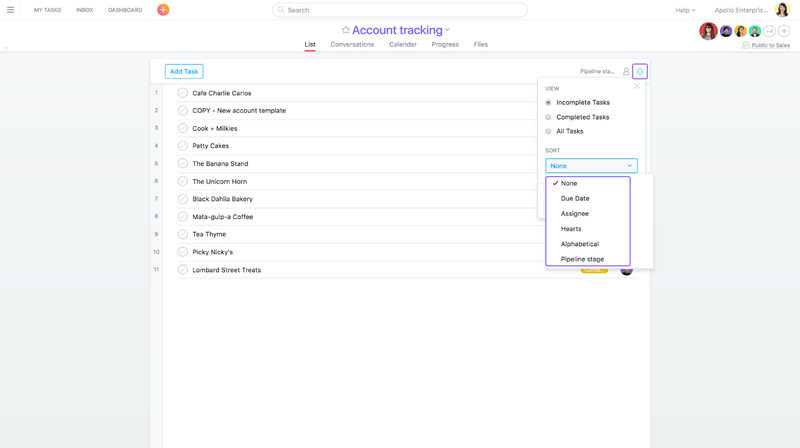 Using Asana for account tracking is an effective way to manage account information alongside the work you need to do on each account. You and your team will have a clear idea of the account’s history, and can plan opportunities for the future.